It is always sad to see people you have had formed special connections with go and leave for other places far from you; when it’s your time to move, the friends you have made while being on a certain place will also feel the same way. Of course you will want to keep in touch with the people you have become close with however, it is also expected to not be able to communicate with regularly, and that’s okay. So long as you have made it clear to them that you will always be there for them, you have done your part as their friend. You may also see superb postcard design samples. Moving away from the place you have been so used to will always be a tough experience. You need to leave what you have quite used to. More importantly, you get to leave the special people you have back home. However, moving away does not always mean that its a negative overall experience. It can give you new beginnings, new environment and a chance to start all over again be it in personal or professional aspect of your life. But that does not also mean that you forget about the people back home who have been so supportive of you; you need to sometimes let them know about you. Sending postcards to them will always be a very welcomed surprise. 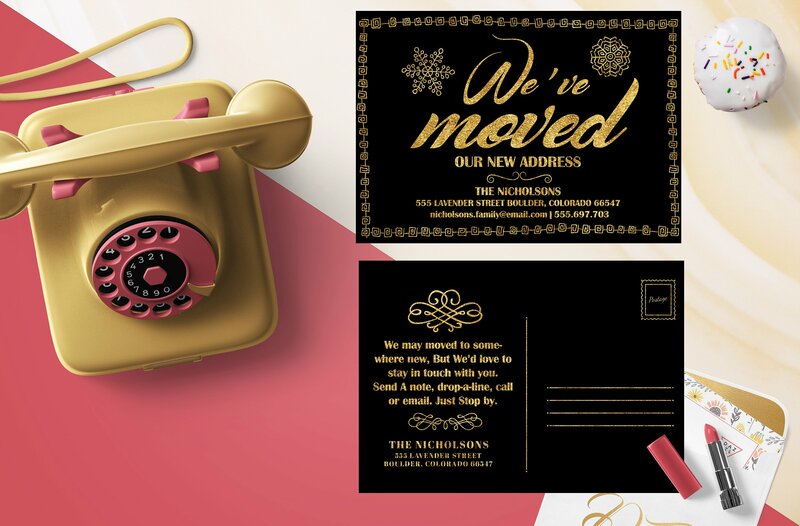 You may also like business postcard examples. 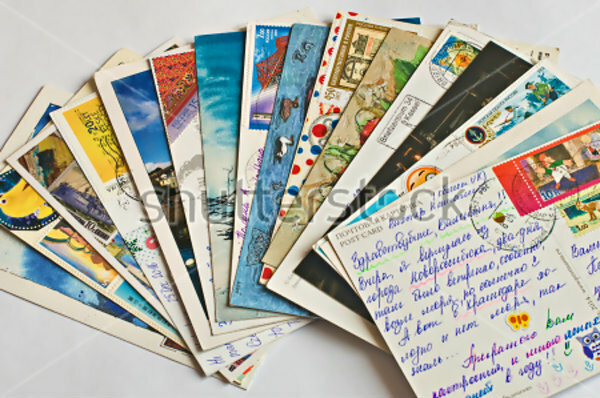 Since instant messages in Facebook, WhatsApp and other instant messaging application in your smartphone are what’s considered as mundane nowadays, writing and sending postcards are unique and different. 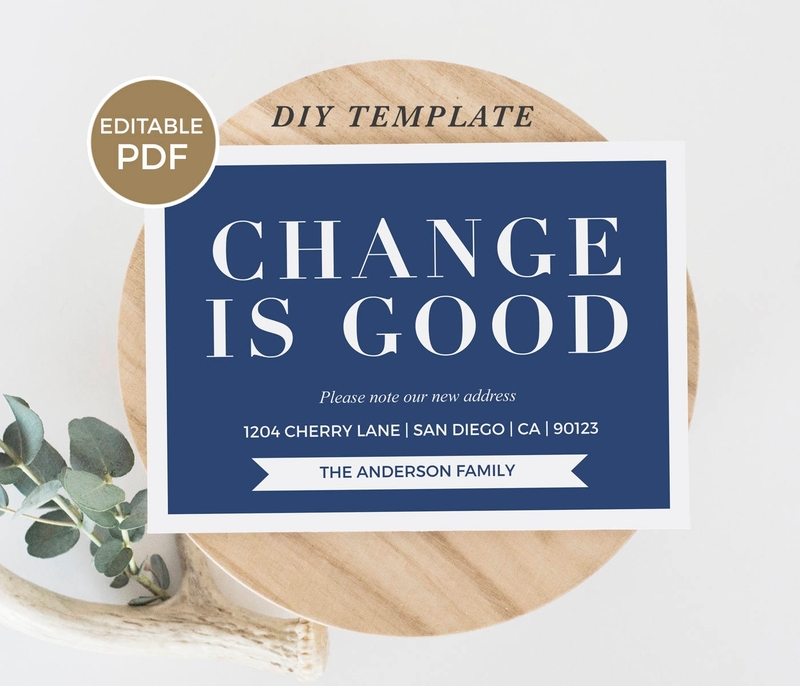 People rarely receive handwritten letters nowadays, when you send a handwritten postcard from wherever you currently are, it stands out from the crowd that is unread text messages and formal emails. You can also be sure that the person who will receive the postcard will remember it forever. 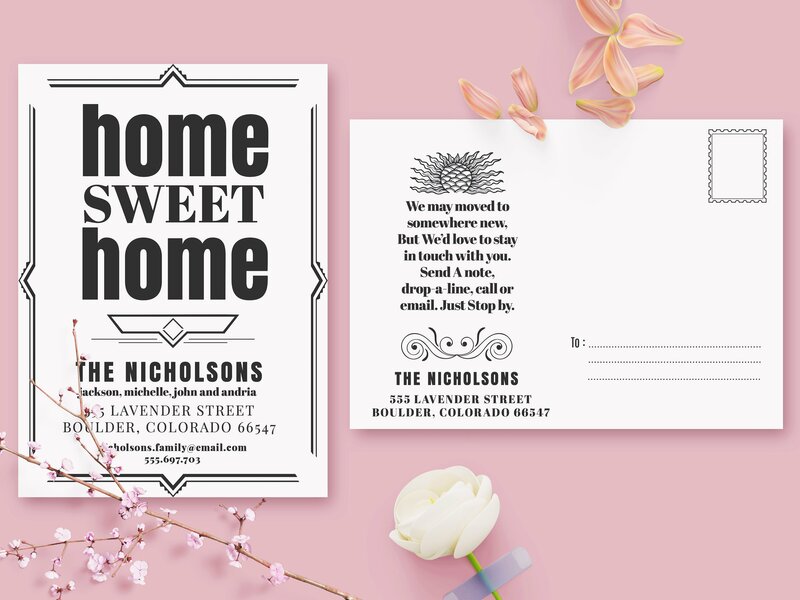 Postcards usually have beautiful pictures on one side, and the text or content on the other, it is can be kept by the receiver as a special keepsake. It will most likely be put up in the refrigerator, pin it in their personal board or kept in a memory box that will be treasured forever. They will value the gesture you have kindly extended to them, not to mention that whatever you have written in the general postcard is something that they will want to remember for a long time. Some people have even kept postcards fro so long that their next generation were still able to read it for themselves. As mentioned above, it can be kept for a long time so long as the receiver keeps it and takes care of it. Although there is a possibility of ruining or burning it, that is less likely to happen especially if it meant a lot to the receiver. Unlike emails and text messages, this cannot be deleted unless the receiver decides to throw it away or burn it. It is a tangible and an actual representation of what you wanted to say; it cannot simply be lost in the vastness of the cyber space. To help preserve it for a longer time, it is better to put it in a plastic cover to protect it from getting eating by bugs or getting wet. 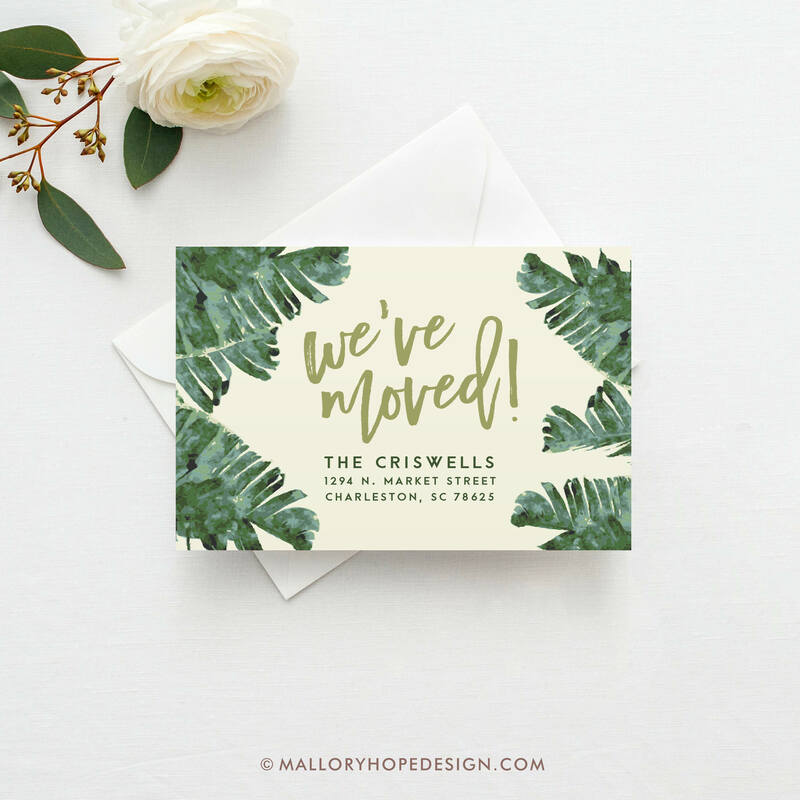 You may also check out small business postcard examples. 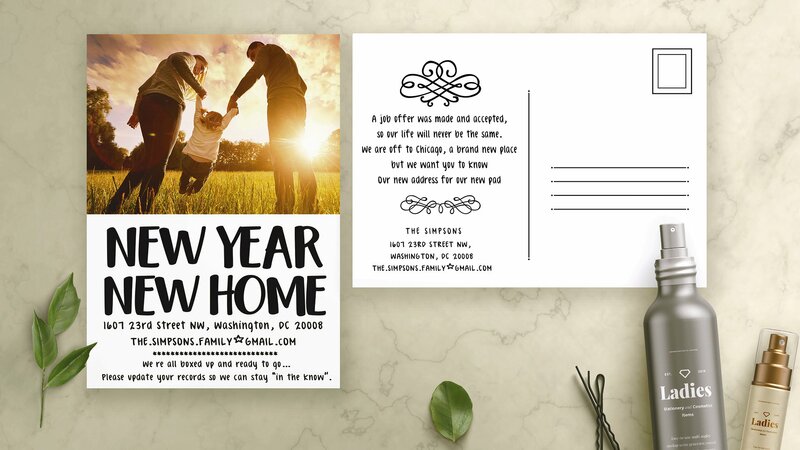 Writing and sending a attractive postcard requires more effort that pushing a button to send an email or a text. The person receiving the postcard will surely appreciate you for remembering and sending him/her a postcard. Although there is nothing wrong with an email or a text message, there is still something special when you receive handwritten letters from people that means so much to you. Sending a postcard may be a small gesture, but it will surely mean a lot to the receiver. It will surely make him/her smile and appreciate the relationship you have with them even more. No network service, no problem! 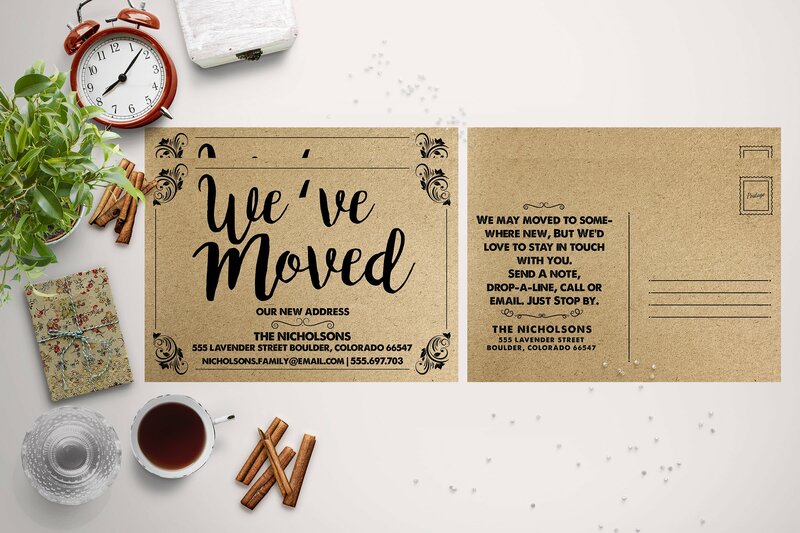 Sending a postcard does not depend on the availability of a network service since it is sent in to actual post offices from wherever you are writing from. This is more appropriate in places that does not have stable network service and does not yet have electricity. In addition, electronic messages can sometimes come off as distant and disconnected, unlike handwritten letters where the receiver can feel what you have been feeling as you write the letter; it is more personal and meaningful. You might be interested in travel postcard designs. Sending a postcard with a picture of one of the most beautiful scenes for wherever you are currently from, will also count as a trip souvenir fro the receiver. Although he/she is not there with you, he/she can feel like he/she has seen the scenery, too. Aside from the landmarks and scenery on the other side of the card, the written message on the other side is also a good keepsake that is worthy of reading over and over again throughout the years. You may also see corporate postcard designs. In addition, if you do not have other souvenirs from the trip, at least you and the people you have sent postcards to, have the postcard to keep as souvenir from the trip or simply just too add to the collection of postcards for different places. Sharing photos online has become a part of life that it has become such a common and expected thing for people to do. When you post these photos with you location tagged in it, you do not only let your family and friends know where you are but also the rest of the world, and that seems impersonal and insincere. When you send in a basic postcard, it actually means that you have personally remembered the person while you were out and about during your trip. 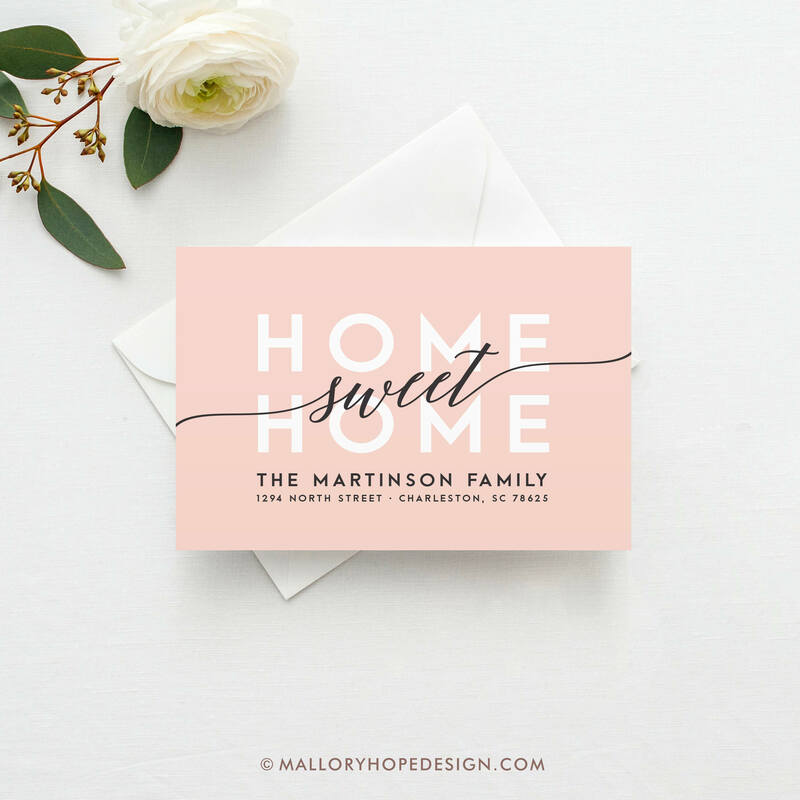 The extra effort you exert from writing the address, writing the message, adding the stamp, looking for a mailbox and mailing will surely be appreciated by the person you are sending the postcard to. 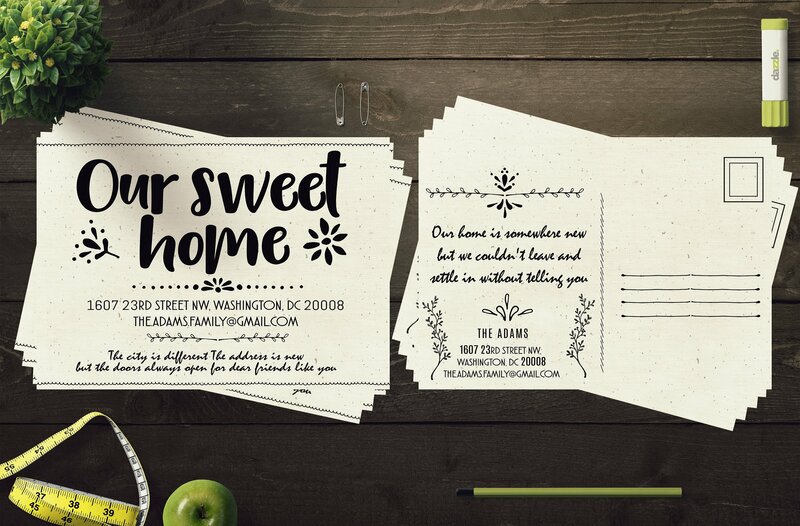 Your postcard will most definitely mean a lot than just clicking the share button. Nothing is more upsetting than not clicking the capture button on time, right? 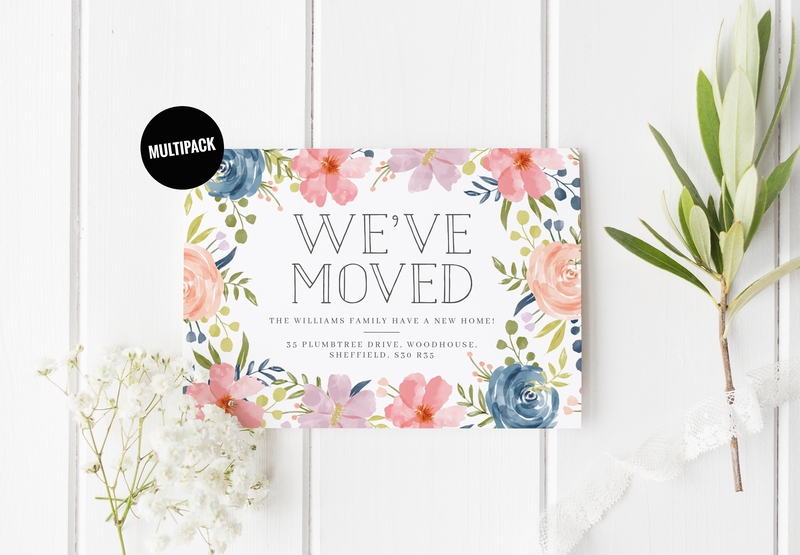 With postcards, there is no need to worry about such things since a beautifully captured image of the scenery is right in front on the card. If you want to capture a beautiful photo of the place but you don’t have the right equipment and you simply don’t have the proper skill to take a photo that will give the wonderful scene justice, just buy and keep a postcard and you will have something for the place to keep forever. 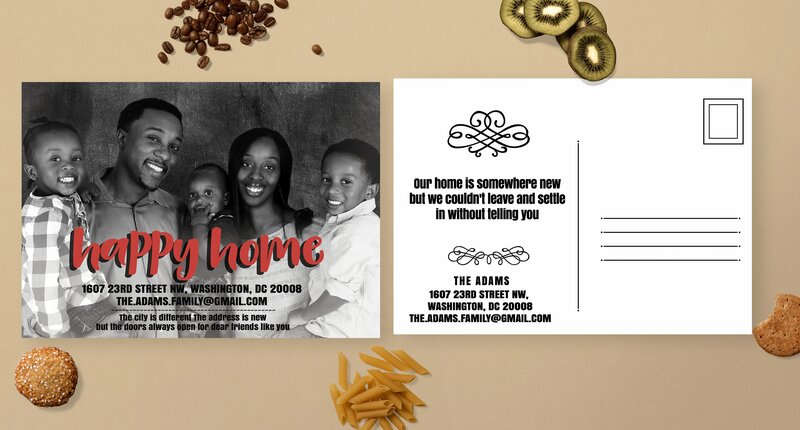 Besides, why stress yourself when there are images already printed for your convenience; the images in the postcards are professionally taken anyway. You may also like examples of wedding postcards. Aside from the personal letter and keepsake form the place, it also has stamps only available to the respective place. If your receiver is a collector of stamps from all over the world, he/she can add the stamp form where you are writing from to his/her collection. Some places offer unique stamps that represents their place with their famous landmarks or famous prominent people as the main subject. Surely a delight fro stamp collector friends and family! Since you already have a couple of postcards from your previous travels, it is always a good idea to see what’s the difference after all the years have passed. Should you decide to travel to the same place again, use the postcard to comparable what stands in the same place today. You will be amazed to see the differences. You can compare how things have changed from the last time you have visited the place. In addition, some postcards offer cool facts about the place and that is always fun to read. You may also check out event postcard designs. 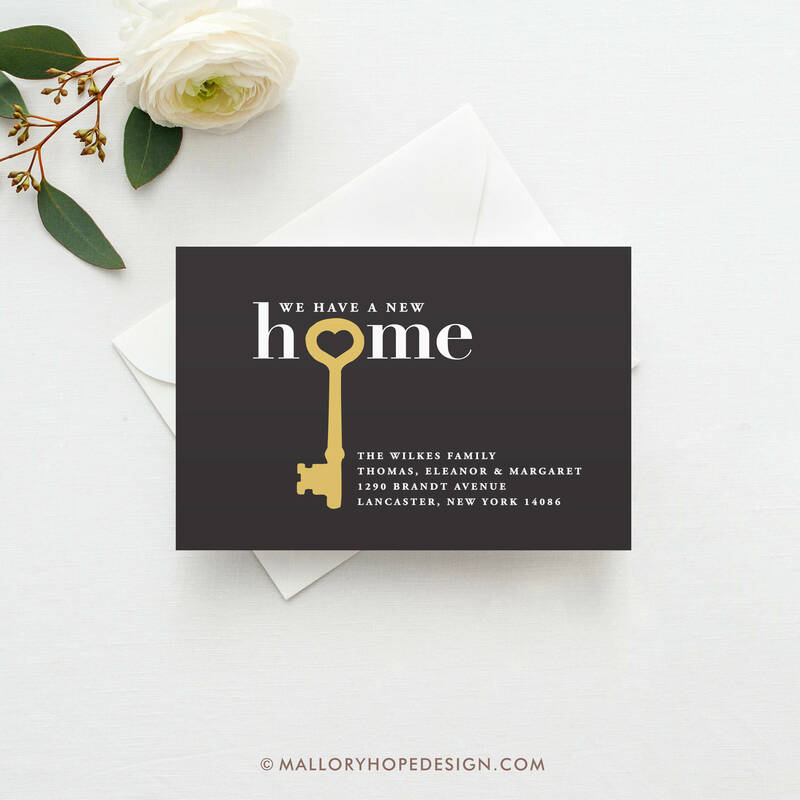 An address postcard should accurately depict the current address where you are staying. This is commonly used for people moving homes. 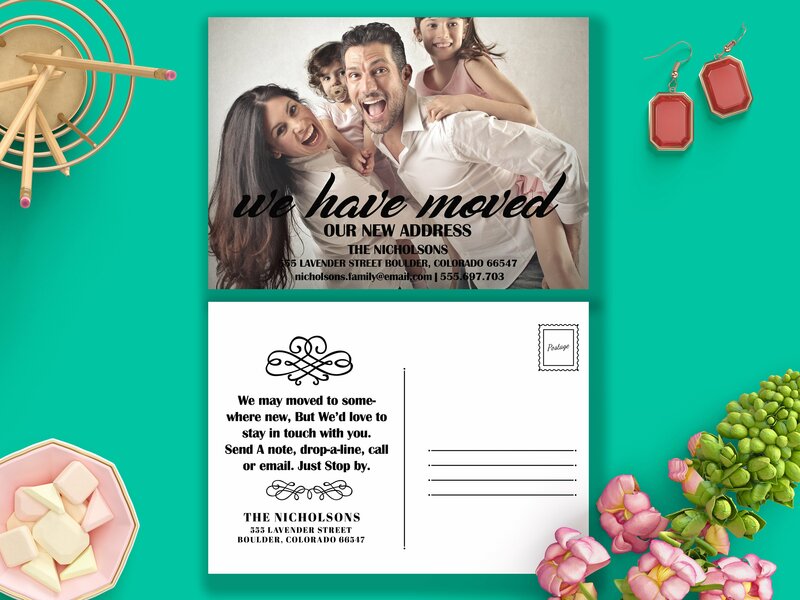 For example, when you and your family are moving a block away or in a different city or state, the address postcard is sent to inform the people of your current permanent address. That can be done through email or text message as well, but the personal touch, thoughts and gesture is what matters when you send postcards. You have the authority to choose who will receive the postcard. This way they know where to send letters, gifts or packages if they need to. You may also see holiday postcard examples. Sending postcards can mean a lot to the people who will receive it. Whether you are travelling for a certain period of time or moving away, letting the people you care about know of your whereabouts is a simple yet meaningful gesture. It can only mean that you value the relationship you have with the person and that you always think of him/her no matter where you are. 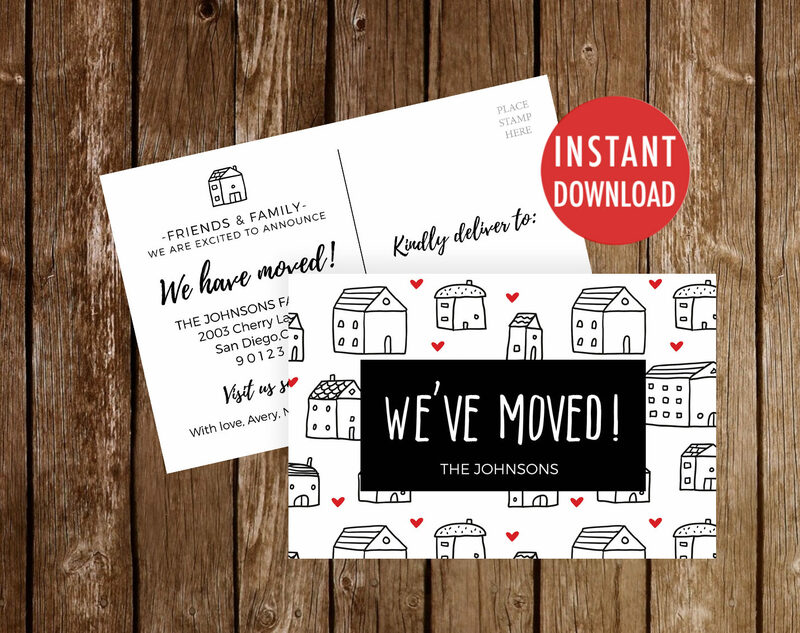 You may also like marketing postcard examples. The thought that you still want to keep in touch with the people back home will always be appreciated and will for sure not be taken for granted. Aside from all of this, you can also give them a piece of you that they can keep forever as a personal keepsake. 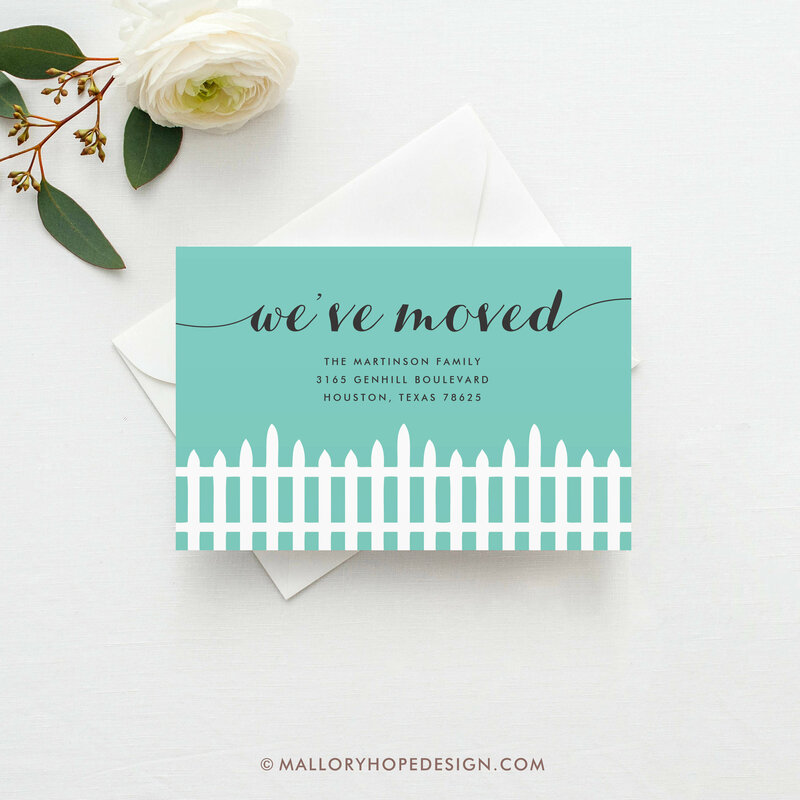 We hope that this guide has helped you with your address postcard needs.